In 2006, Larry Evans and Brumby Real Estate developers had a vision for this downtown Brunswick waterfront site. 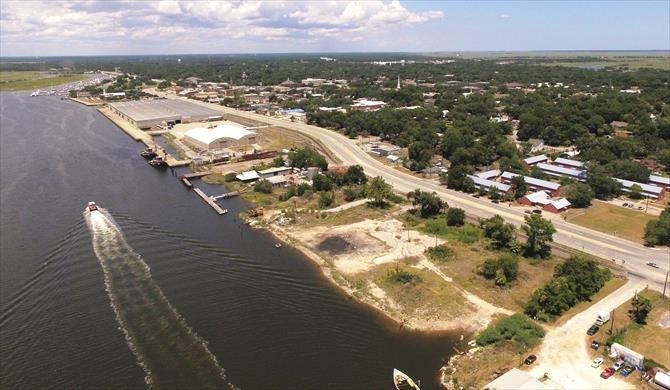 They envisioned thousands of square feet of multi use, residential and commercial space called The Riverfront that was to change the face of downtown Brunswick's riverfront for the better. Today, Page Aiken, of DeLoach Sotheby's International Realty is representing the owner, Primesouth Bank and has the property for sale at $850,000. The site remains a great potential for redevelopment along the East River just south of Downtown. We have had inquiries from several potential users and developers with an interest in putting a dock, marina and related uses on the site. The owner has provided an updated Survey and Phase II Environmental Study that give prospective buyers a clear picture of the site.